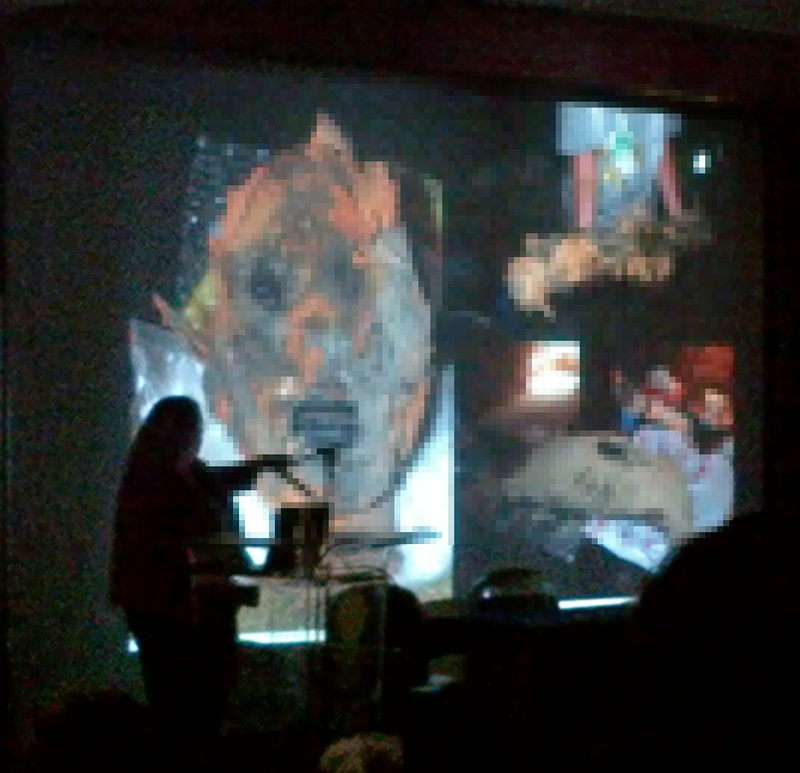 This lecture took place on Sunday 3rd of February at the mummification Museum, Luxor. Attended by 114 persons and took 38 minutes. 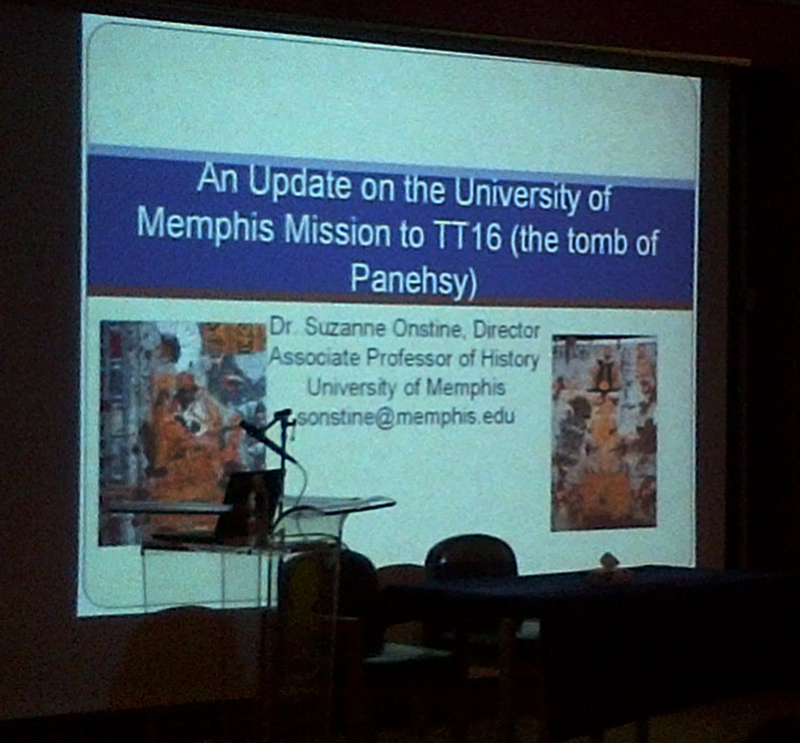 Note: The images were displayed are intellectual properties of the University of Memphis Mission and that’s why we have blurred any images that could have been a subject of copy right protection. Dr. Onstine describes her approach to history as an interdisciplinary, combining this with her experience in epigraphic field work, passion for Egyptian history especially women’s history and excellent team management skills leads to eminent results and a new prospective in the field. 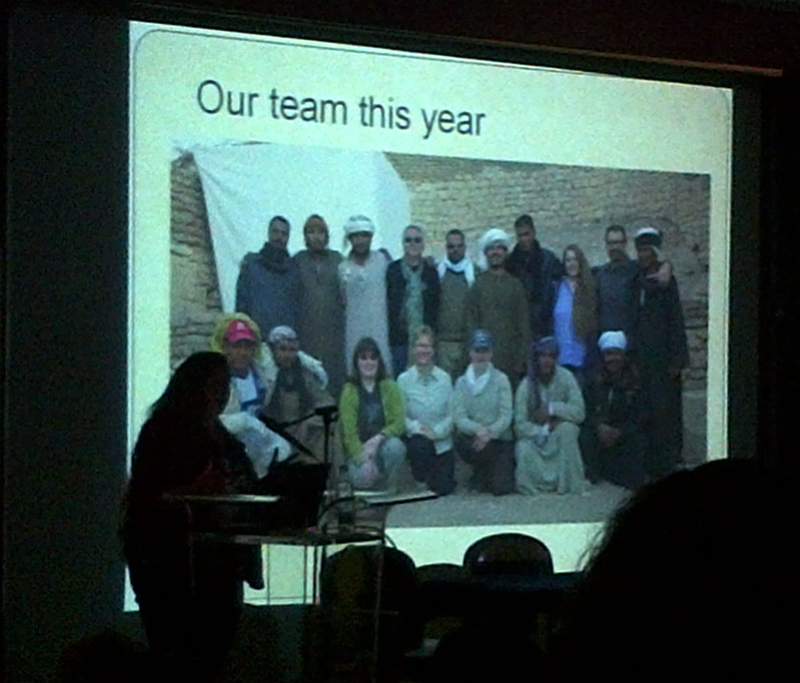 Dr. Suzanne spoke about her work in TT16 at the Mummification Museum in Luxor on a couple of occasions before, in January 2009 and January 2012. Also at Bowers Museum (California) in August 2012 under the title “DEATH ALONG THE NILE: UNCOVERING SECRETS OF EGYPT`S LOST TOMBS” so this time it was an update of the work in the tomb. The tomb is located at Dra Abu El-Naga. TT16 belonged to the Ramesside period Overseer of Chanters of the Offering Table of Amun and Priest of Amenhotep I, Panehsy and to his wife, a Chantress of Amun named Tarenu. Phase one of the work is Digital epigraphy started in 2008 to record the tomb before conservation as during the conservation process their might be changes in the tomb like plaster falling off. Also after the conservation there will be an update of the epigraphy to record any changes. Phase two is Cleaning and studying the looted human remains. Even though the state of the human remains was found but still we could get so much information of them. Displaying a slide with an image of a head was found and still has the tongue even after about 3000 years. One of the remains found has a stick up the spine to straighten it and Dr. Suzanne suggests that it might be a way to make the deceased look more powerful during the journey to the afterlife with Anubis. As there are about 20-30 meters to clean so maybe 19thDynasty remains would be found although the burial shaft had been looted already. Papyrus motif recalls her role as a guardian of Horus in the marsh and there is another one in the second room. – Book of the Dead spell 59 associates her with cool water which she pours out for the deceased. Although later in the lecture Dr. Suzanne proposed that maybe there were 2 different artists. The proposal supported by two different styles, examples in depictions of the ears and fingers. The work is still ongoing to continue cleaning and documenting the tomb. 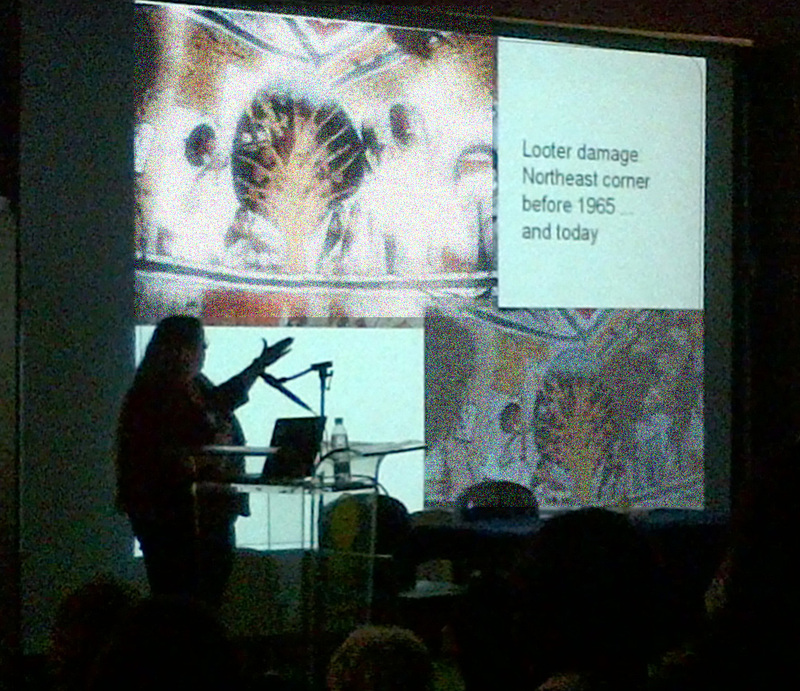 Digital epigraphy will continue and then the conservation would take place as Dr. Suzanne referred to the previous lecture by Dr. Violeta Pereyra and the laser cleaning technique which she thinks that could be a possible option for TT16.